Cluster and TC-1 observation of magnetic holes in the plasma sheet, by W. J. Sun, Q. Q. Shi, S. Y. Fu, Z. Y. Pu, M. W. Dunlop, A. P. Walsh, Q. G. Zong, T. Xiao, C. L. Tang, H. Reme, C. Carr, E. Lucek, and A. Fazakerley, ANGEO, 2012, Vol.30, pp. 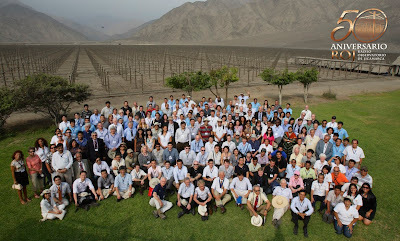 583-595, SRef-ID: 1432-0576/angeo/2012-30-583, http://direct.sref.org/1432-0576/angeo/2012-30-583. Study of the applicability of the curlometer technique with the four Cluster spacecraft in regions close to Earth, by S. Grimald, I. Dandouras, P. Robert, and E. Lucek, ANGEO, 2012, Vol.30, pp. 597-611, SRef-ID: 1432-0576/angeo/2012-30-597, http://direct.sref.org/1432-0576/angeo/2012-30-597. Multi-spacecraft observations of small-scale fluctuations in density and fields in plasmaspheric plumes, by H. Matsui, F. Darrouzet, J. Goldstein, P. A. Puhl-Quinn, Yu. V. Khotyaintsev, P.-A. Lindqvist, E. Georgescu, C. G. Mouikis, and R. B. Torbert, ANGEO, 2012, Vol.30, pp. 623-637, SRef-ID: 1432-0576/angeo/2012-30-623, http://direct.sref.org/1432-0576/angeo/2012-30-623. A meteor head echo analysis algorithm for the lower VHF band, by J. Kero, C. Szasz, T. Nakamura, T. Terasawa, H. Miyamoto, and K. Nishimura, ANGEO, 2012, Vol.30, pp. 639-659, SRef-ID: 1432-0576/angeo/2012-30-639, http://direct.sref.org/1432-0576/angeo/2012-30-639. Electron scale structures of thin current sheets in magnetic reconnection, by N. Jain, A. S. Sharma, L. M. Zelenyi, and H. V. Malova, ANGEO, 2012, Vol.30, pp. 661-666, SRef-ID: 1432-0576/angeo/2012-30-661, http://direct.sref.org/1432-0576/angeo/2012-30-661. External triggering of substorms identified using modern optical versus geosynchronous particle data, by B. Gallardo-Lacourt, Y. Nishimura, L. R. Lyons, and E. Donovan, ANGEO, 2012, Vol.30, pp. 667-673, SRef-ID: 1432-0576/angeo/2012-30-667, http://direct.sref.org/1432-0576/angeo/2012-30-667. 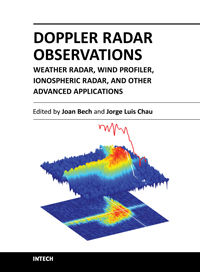 A new book entitled "Doppler Radar Observations - Weather Radar, Wind Profiler, Ionospheric Radar, and Other Advanced Applications" and edited by Joan Bech and Jorge L Chau has been published by Intech, which promotes open-access scientific literature and made available on-line for free. Doppler radar systems have been instrumental to improve our understanding and monitoring capabilities of phenomena taking place in the low, middle, and upper atmosphere. 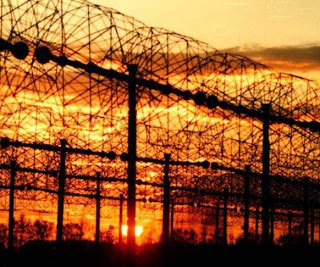 Weather radars, wind profilers, and incoherent and coherent scatter radars implementing Doppler techniques are now used routinely both in research and operational applications by scientists and practitioners. This book brings together a collection of eighteen essays by international leading authors devoted to different applications of ground based Doppler radars. 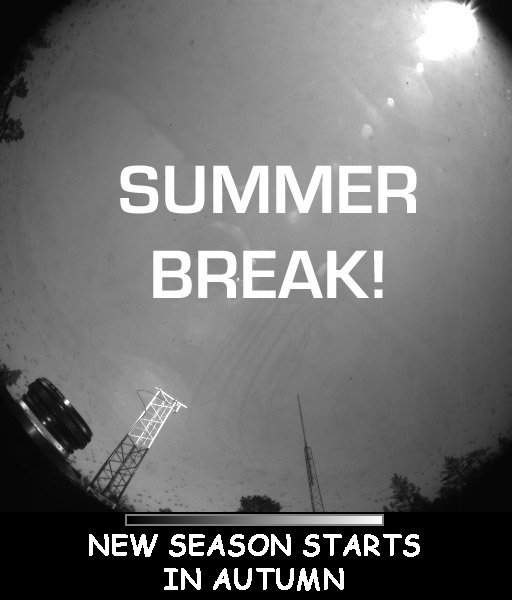 Topics covered include, among others, severe weather surveillance, precipitation estimation and nowcasting, wind and turbulence retrievals, ionospheric radar and volcanological applications of Doppler radar. The book is ideally suited for graduate students looking for an introduction to the field or professionals intending to refresh or update their knowledge on Doppler radar applications. You can access the book on-line following this link. Spring in Lapland — that means daytime temperatures often above freezing, nighttime temperatures solidly below, and very bright and sunny days. The temperature cycle leads to the top snow layer becoming very hard, and then it is possible to ski just anywhere, an opportunity enjoyed by many here. Also, this is the peak time for snowmobiling, either for a fast dash across frozen lakes and rivers, or long-distance travelling from cabin to cabin. The photo above was taken a week ago some way up the fell of Saana, about which we reported already last summer. The view is to the north-west, towards the mountains of Norway. Somewhere in this direction, some 90 km away, there's the EISCAT Tromsø site, with its UHF and VHF incoherent scatter radars. 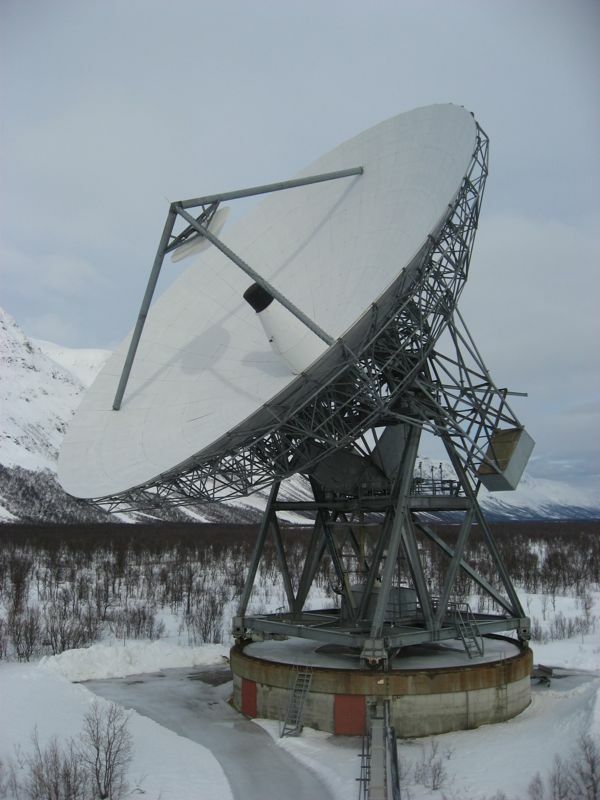 Pointing in this direction, at this location on Finnish territory closest to the VHF radar, the Sodankylä Geophysical Observatory (SGO) build the KAIRA facility (Kilpisjärvi Atmospheric Imaging Receiver Array). If you click on the photo above and zoom in, you will find KAIRA just off to the right from the centre of the image. With this Friday-photo we wish all of you a very good weekend, and a Happy Easter!